Did you make it to Tulip Time Festival Day at the Lake on April 17? If not, make plans now for 2017 because this is a Topeka tradition you don’t want to miss. The annual Tulip Time Festival was named a Top 100 Event for Groups by the American Bus Association. The annual festival is organized by Shawnee County Parks and Recreation and its partners. And Visit Topeka’s Tulip Time Festival Day at the Lake added a special day that brought live performances, a classic car show, vendors, three food trucks and classes from master gardeners and local-favorite Wolfe’s Camera. The day brought approximately 4,000 people to Topeka’s Lake Shawnee from several states and throughout Kansas. 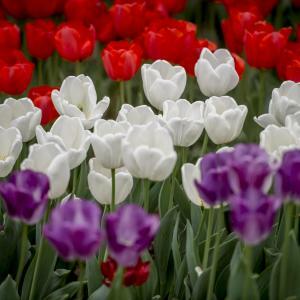 Each year during Tulip Time, more than 120,000 tulips and daffodils bloom at picturesque locations around the community including Lake Shawnee’s Ted Ensley Botanical Gardens, Old Prairie Town at Ward-Meade Historic Site, Gage Park and Downtown Topeka. Stay up to date on developments for Tulip Time 2017 on the Visit Topeka website.